Those chilly fall days required something warm and hearty for hungry bellies. This is what I whipped up for lunch on two drizzly days last week. 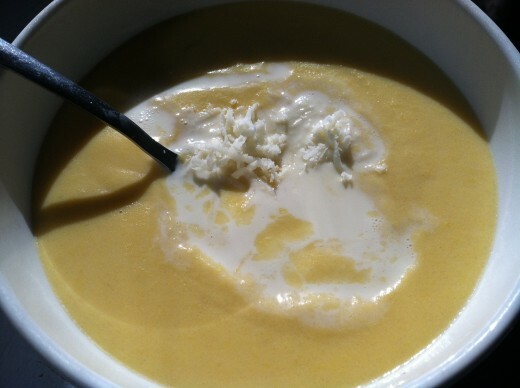 It really is a cheese soup with pumpkin, rather than a pumpkin soup with cheese added. An excellent sneak for the three men in my life who despise hard and summer squashes cooked into savory dishes. In fact, this creamy, cheesy soup has been designated as a mac ‘n’ cheese substitute by my little family. My husband, who loves “the blue box please” brand macaroni and cheese but rarely gets it, had seconds and then sat with his jaw hanging when I told him he had just polished off a two bowls of pumpkin soup. A splash of cream and a bit of grated Ashford Cheddar from the stash of goodies I purchased the Saturday before from English Farmstead Cheese Store made it extra special. 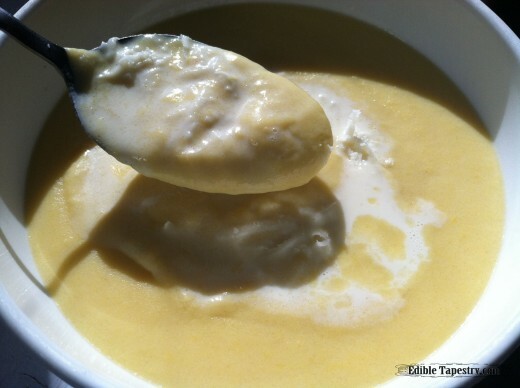 I give step-by-step instructions in my post 10 Steps to Cooking Fresh Pumpkin for Pie for hard squash roasting to make this soup. Butternut, or even acorn, squash could be substituted for the pumpkin in this recipe. 4 T flour. I used King Arthur Gluten Free so that I could cut down on my white wheat flour usage. 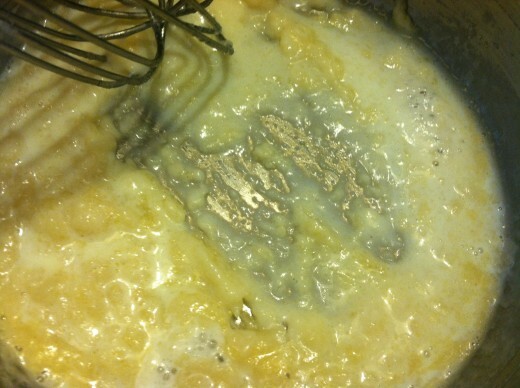 Make a blonde roux by melting the butter in the bottom of a small stock pot over medium heat. 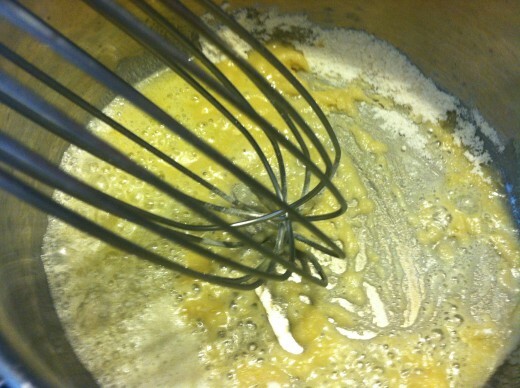 Whisk in the flour and continue stirring for approximately one minute. 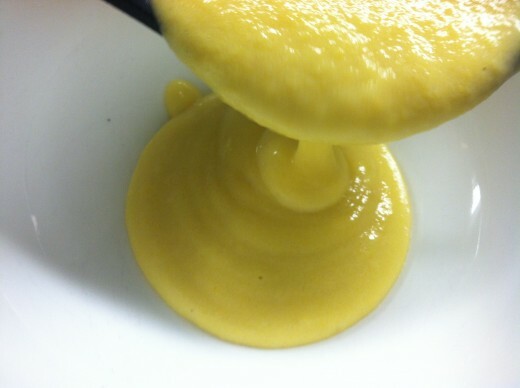 Slowly pour in the milk while whisking vigorously to gradually incorporate it while avoiding the production of lumps. 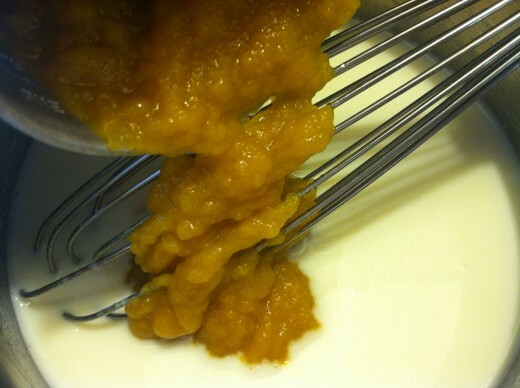 Stir in the pumpkin when all of the the milk has been whisked in. Heat while stirring constantly until the mixture comes to a rolling boil. 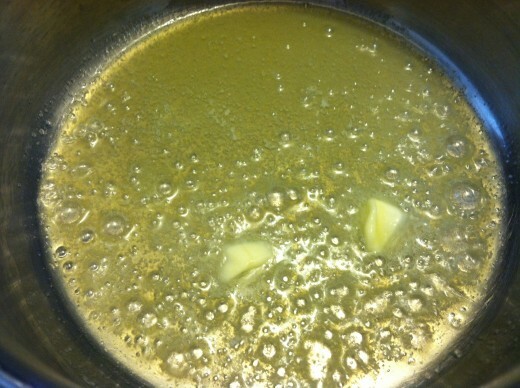 Reduce the heat to a simmer and continue stirring and cooking until it thickens. Around 8 minutes. 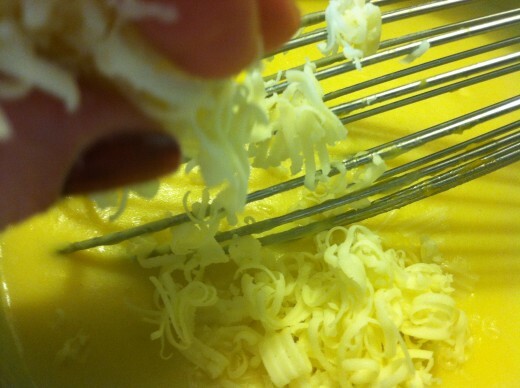 Stir in the cheese and continue cooking and whisking until the soup reduces to the desired thickness. I called it done after only another minute or so. 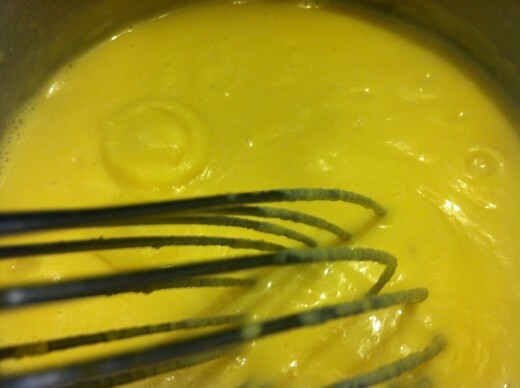 Drizzle with cream and sprinkle with cheese. And…if I hadn’t been trying to give my family a mac ‘n’ cheese sub. with this soup, I would have treated it the way nature intended and added a sprinkle of nutmeg, maybe even some toasted pecans.